President Trump "should be ashamed of himself" for saying white nationalists are a small group of people, Former Colorado Gov. and 2020 Democratic hopeful John Hickenlooper told a CNN town hall Wednesday. 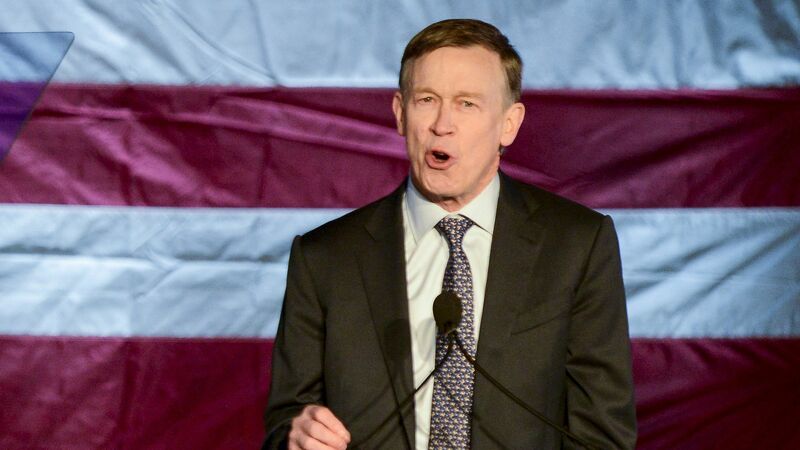 What he's saying: "The rise of Islamophobia and white nationalism are different sides of the same coin," Hickenlooper said, referring to Trump's remarks made after the fatal New Zealand attacks. "Anytime you are making comments and creating, fanning the flames of hatred, then you're doing a genuine harm to your community." Details: During a wide-ranging town hall moderated by Dana Bash in Atlanta, Georgia, Hickenlooper said his centrist approach had helped bring groups such as environmentalists and oil and gas industry reps together when he was governor of Colorado. He believes that's why he's the best candidate to defeat Trump. On gun control: Hickenlooper pointed to his record as governor of Colorado, where he introduced weapons regulations. On healthcare: He said healthcare should be a "right, not a privilege," but he doesn't believe it can be achieved via single-payer healthcare.